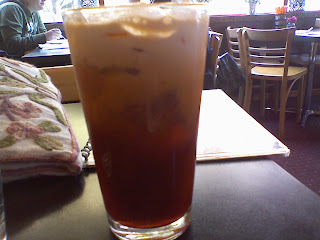 I'm at my favorite Thai restaurant in Portland, drinking Thai ice tea and feeling pensive. This trip has been so interesting. Portland and the people here are healing. Next I'm off to Powell's bookstore then on a flight back tomorrow morning. Life is good here. I'll have a reiki session this evening, I can't wait.